As you may know, PUBG is releasing on PS4 December 7th. The new snow map Vikendi will not be available to play at launch but all players who log-in to their game on their PS4 will receive a free and platform exclusive gift. There is no official deadline to claim the skin but it is most likely a limited time offer. 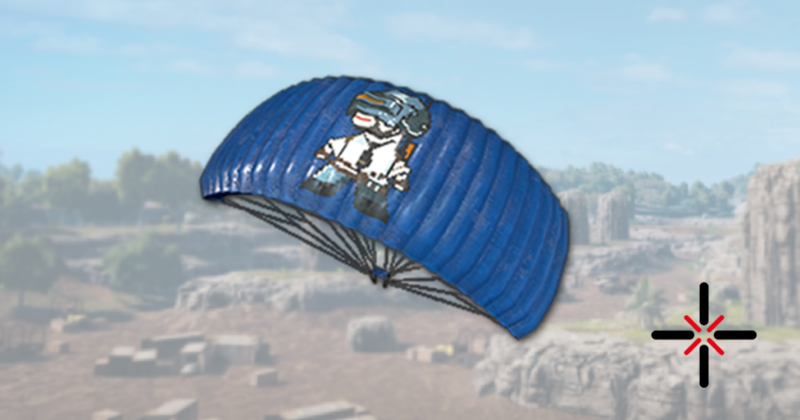 The Parachute skin is called “Pixel Art Parachute” and is colored after the well known Blue of Playstation. As PUBG does not release on PS4 for 1 more day you can still preorder the game. It is available in 3 different (digital) versions. The Looter’s Digital Version, the Survivor’s Digital Edition and the Champion’s Digital Edition. The higher tier versions will give you a certain amount of ingame currency and the Event Pass: Sanhok for a discounted price. Keep in mind that this Event Pass is not a Map DLC, it is a Progression system with challenges that offers Skins as rewards. We’ll cover it once it is available. You can read everything about the different Preorder Bundles in our Article.